Over the past two decades there have been numerous studies that looked at cranberries and their juice. Most of the research revolves around how cranberry juice can heal urinary tract infections and help to cleanse the bladder, kidneys and prostate. Reports are also showing anti-inflammatory effects and a study that says the juice itself is better than extracts for fighting infections. There is an impressive amount of positive information about the restorative properties of cranberry juice. Now it appears the scientists have even more investigating they want to do. New research is pointing toward a benefit as yet not studied in cranberry juice. It has now been shown that drinking a lower calorie version of cranberry juice could lower blood pressure. The new findings were presented at the American Heart Association’s High Blood Pressure Research 2012 Scientific Sessions. Participants were given either low calorie cranberry juice or a placebo drink every day for eight weeks. Blood pressure measurements were taken at the start, mid point and end of the study. At the conclusion readings showed a significant lowering of blood pressure from 121/73 to 118/70 for those drinking the juice. There was no change in those drinking the placebo. 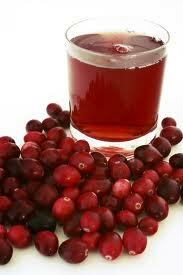 Cranberry juice is rich in antioxidants and has anti-inflammatory properties. Both of these attributes have been associated with lower blood pressure in other studies. This new research is another great reason to purchase fresh cranberries for juicing during the fall season. 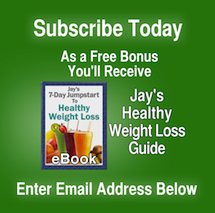 Jay Has The Answer To Low Calorie Cranberry Juice You Make At Home! With this great tasting recipe you control how tart the juice is by how much apple or water you use. Unlike most commercial cranberry juice, no refined sugar is added. Stevia to taste, if needed. We added the red bell peppers because vitamin C (high in Bell peppers) helps the absorption of natural iron in the bloodstream. Getting iron from steak is not as efficient as getting it from vegan sources. For example: For example, you would have to eat more than 1700 calories of sirloin steak to get the same amount of iron as found in 100 calories of spinach. Juice this tonic once a day for a week, and your blood will be rich in oxygen! Also, another key to see if you are anemic, is to look inside at your lower eyelid. 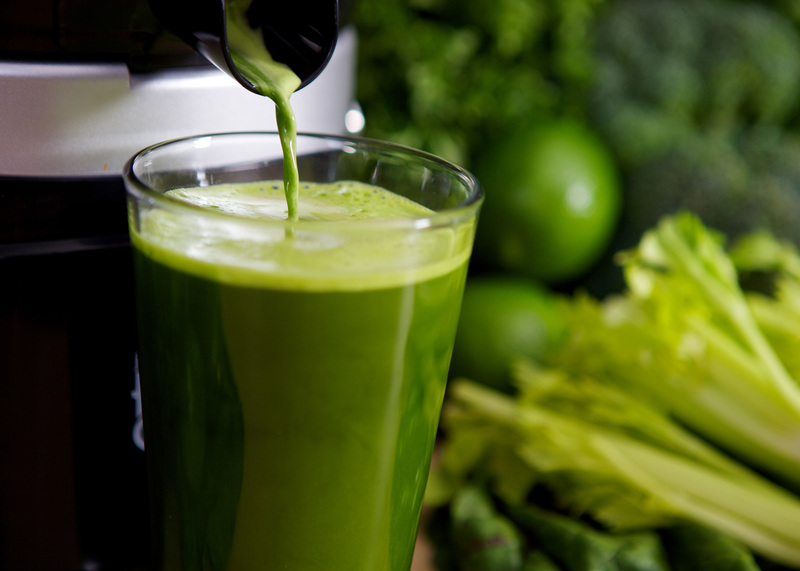 If it is pale, and not red….this could be an indication you need more PURE GREENS into your diet. The best way to get pure greens into your bloodstream with 100% assimilation is through juicing them and consuming them, right on the spot. Jay has long been an advocate for the use of freshly made pineapple juice. When he was an athlete in his early years he did some damage to his knees during his football playing career. He found pineapple juice helped him alleviate the aches and pains in his joints and knees. After studying the properties of pineapple he became aware that it was the enzyme bromelain in fresh pineapple that was responsible for him feeling better. Bromelain is actually a group of enzymes in pineapple, known as proteolytic enzymes because they digest protein. 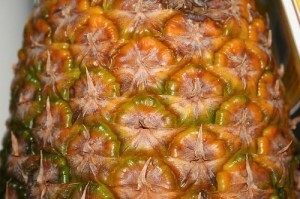 For centuries civilizations have used pineapple to treat indigestion and reduce inflammation. Germany approved bromelain to treat swelling and inflammation after surgery as far back as the 1800s. Bromelain is also used to treat infection and injuries. When you consider not only the healing power of bromelain but also unlike highly toxic chemo therapy, which kills not only cancer cells but healthy cells at the same time, bromelain has no such problem. Bromelain does not destroy healthy tissue in the same manner as chemo drugs. Bromelain is concentrated in the core of a pineapple, the tough center that is not usually eaten however juicing it is simple. Enzymes are destroyed during the canning and bottling process. The pineapple must be fresh to receive the benefits from the enzymes. Insert pieces of fresh pineapple with the skin and all into your juicer. 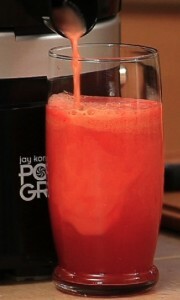 Here is a short video demo that shows the best way to juice pineapple in the Jay Kordich PowerGrind Pro juicer. Cranberries have been subjected to some of the most comprehensive research ever conducted on fruits or vegetables. Studies have shown how cranberry juice can heal urinary tract infections and help to cleanse the bladder, kidneys and prostate. Reports are also showing anti-inflammatory effects and a new study that says the juice itself is better than extracts for fighting infections. 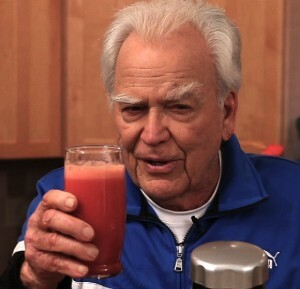 Jay Kordich, known as The Father Of Juicing has been teaching people about the power of cranberry juice for decades. He has followed the research and seen the benefits of cranberries and today we are posting his latest video, Cranberry Apple. 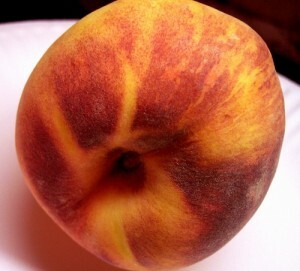 It’s a great tasting recipe and you control how tart the juice is by how much apple you use. Unlike most commercial cranberry juice, no refined sugar is added to this recipe. The benefits of making fresh beet juices are numerous. We feel it’s the best root vegetable for cleansing the liver/gall bladder. High in nutrients, this overlooked root which spends its entire life underground until it comes to the table. It is not only a liver cleanser and blood builder, but contains antioxidant properties, as well. Jay and I love to juice beets and use them in combinations…… because they can be highly powerful and will make your throat feel scratchy, or it will effect your vocal chords if done in excess. What does in ‘excess’ mean? Don’t do more than 1 large beet at a time, and never juice beets straight, unless you have learned to build up a tolerance for it. This tonic is quite red! It’s beautiful and can give you a huge burst of energy. Please share this tonic with another person, it’s meant for two people. Nutrients:Beets are a source of Vitamin A, B, (folic acid) C, iron, potassium, phosphorus, magnesium, calcium, carotenoids and dietary fiber, unless of course you are juicing them. You can keep the pulp and use the pulp for a good VEGETABLE soup as a base, especially if you are going to add carrots to any tonic with beets. Beet Root is used to not only detoxify the liver and spleen, but helps with treatment of many other liver ailments, such as cirrhosis, jaundice and other diseases of the liver. 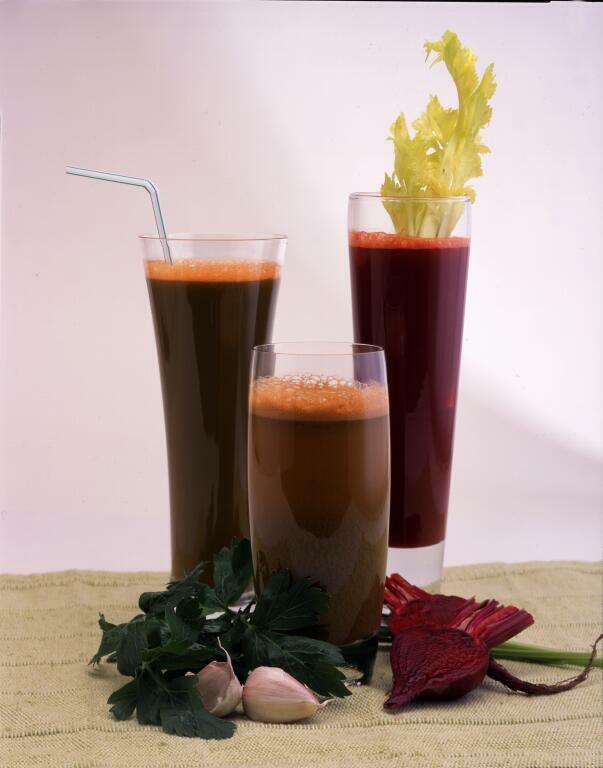 PLEASE REMEMBER….beet juice will cause your urine and feces to turn a bit red, so don’t be alarmed. Blood Builder: Beet juice stimulates the lymph fluid (the straw-colored portion of the blood). Beets are also good for building blood as well as helping to balance the blood’s pH balance by reducing the blood’s acidity. Corpuscles are blood cells which may contain excess accumulations of fat. By removing the excess corpuscle fats, they can be eliminated from the body. Let’s clean out those corpuscles! I just wish everybody would or could understand just how powerful fresh vegetable juices can be for recooperating the body from disease, and/or from congestion. 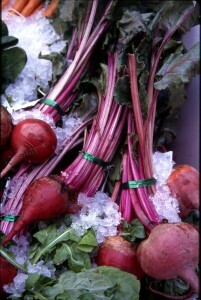 Especially beets are quick to help and cleanse and purify. We recommend juice 5 to 7 beets per week for two weeks, combined of course with other vegetables as mentioned above. Afte these two weeks, you will notice your blood will be quite rich and clean. You can do this a few weeks before you have to go the Doctor and see what he says when he takes your next blood test, but remember, THIS is not the only thing you need to do to keep your blood clean…..stay ALKALINE with your juices and food as well, with no caffeine, sugar, alcohol or white foods. Our book, Live Foods Live Bodies has a tremendous amount of great juicing recipes, including beet recipes, or our original book, The Juiceman’s Power of Juicing has a plethora of wonderful juice combinations I have been using for over 6 decades. For the past ten years or so we have seen several books being published that take juicing to another level. Some books however are not focusing on the basics of juicing, which I intend on helping to keep in the forefront so that we don’t lose our way as we progress deeper into the teaching of juicing. The basics of juicing deal with the BASIC JUICING COMBINATIONS and why Dr. Walker and Dr. Gerson created them. Today I am going to focus on SPINACH. The benefits of spinach and other basics need to be shared again so that we can see just how powerfully healing Spinach is. It is the most powerful stomach healer for the entire digestive tract. (stomach, duodenum and small intestines. It also helps the thyroid, the large intestine, eye troubles, headaches, high blood pressure. ONE pint per day combined with carrots is the key. 60% carrots to 40% spinach. ALL of this must be in organic form. Unfortunately for those of us who do yearly or bi-yearly colonics, this does not help the small intestine, only the large. To find vegetables or greens that can heal and detoxify our small intestine is quite rare, so please juice more spinach. It may take a month to see long term results, but it is well worth it. 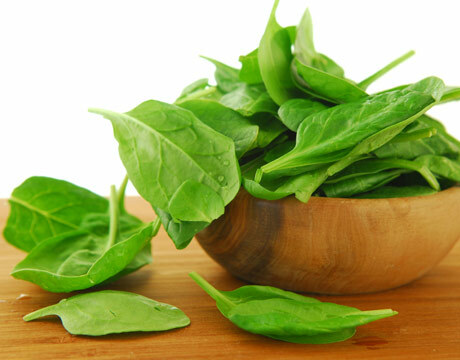 Should we be juicing baby spinach or adult spinach? This is a common question we get asked. Honestly, we prefer the adult spinach, as it’s had time to assimilate all the nutrients more than the baby spinach. Baby spinach is good for salads, as they are sweeter than the adult versions. Always organic, though please. Start off juicing the spinach (1 cup) then flush through with 4 carrots, then use another cup of spinach, then flush through with 3 more carrots, then use the last cup of spinach, and flush through with the rest of the carrots. Drink immediately, but slowly. Do this twice per day, and within 24 hours, you should be feeling tremendously better. Linda and I juice at least two quarts per week of this basic tonic. Dr. Walker always taught me that Oxalic Acid is found in cooked and canned spinach. Oxalic Acids crystalize in our kidneys, thus forming kidney stones. When cooked, the Oxalic Acid atoms become inorganic as a result of excessive heat and may form Oxalic Acid crystals in the kidneys as mentioned above. A recent study confirms old advice, this time it’s about apples. 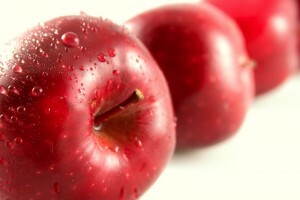 Research funded by the USDA has shown apples to deliver quite impressive health giving results. All it takes is about an apple a day. Imagine That! Lower bad cholesterol up to 23 percent, lose three pounds even while increasing calories, lower hydroperoxide by 33 percent and C-reactive protein by 32 percent, (for lowering inflammation and blood pressure and heart disease). Eating apples is great but you can juice them and receive all the benefits as well. Apples go great with carrots and also when making your favorite green juice combos.